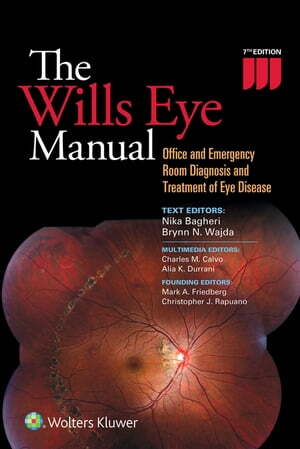 Collins Booksellers - The Wills Eye Manual by Nika Bagheri, Brynn Wajda, Charles Calvo & others, 9781496353665. Buy this book online. For more than 25 years, The Wills Eye Manual has been a best-selling source of authoritative guidance on treating ocular disorders in an office, emergency room, or hospital setting. The 7th Edition introduces exciting new changes to bring this pocket-sized reference thoroughly up to date – including high-quality multimedia content – while retaining the features that have made it so useful in daily practice.